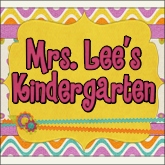 Mrs. Lee's Kindergarten: My First TeachersPayTeachers Item is Listed! My First TeachersPayTeachers Item is Listed! 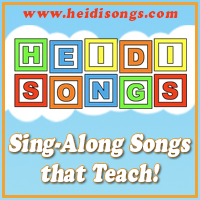 I finally have an "up and running" TPT store! I am so excited and I hope you all will check it out! My first item listed is a Chicka Chicka Boom Boom Unit. It includes tons of center games for math and literacy! I also included a take-home reader, counting book, letter match book, a cute graphing idea, PLUS a lot more! I hope you will check out my store! While you are there, click on my little "follow me" button...it sure would make this ol' girl smile! Way to go! Thanks for sharing your great ideas!!! I'm so excited, Julie! Good luck on TpT! I am sooo proud of you!! WAY TO GO! YOU HAVE AWESOME STUFF!! Yahoo! I'm so thrilled to see you on TPT. I've been loving your site with all of your center ideas. Thanks for sharing. I can't wait to download and get started. SMiles to you for all you do!!! Congratulations. I can't wait to check it out!! Awesome stuff Julie!! JUst downloaded it and it's awesome!! Thanks so much. Looking forward to more goodies!! My kids and I thank you!! I am so happy to see that you're going to be selling on TPT. I love so many of your ideas!! I especially can't wait for your holiday units and hope you'll sell your snowflakes in mittens, matching sweaters and jeans, up on the housetop, your Indian feathers math, put the feathers in number order game... LOVE your ideas!! Thanks everyone! :) I am excited too...thanks as always for visiting my blog and for supporting me! I really appreciate it! Your stuff is awesome, but I wouldn't expect any different from what you have given me in the past!! I am so excited for you and will have to check this out at your TPT store!! I love it! Another fantastic unit. Thanks for sharing! I love chicka chicka boom boom! I just made a new game for this unit! You can see pictures of it on my blog! 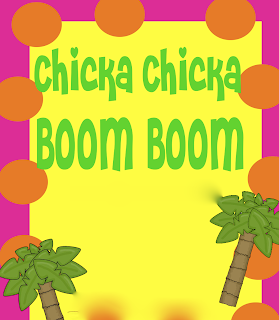 I just purchased your Chicka Boom Boom Alphabet Unit and your School Fun Literacy/Math centers that you created with Deanna Jump on TpT...They are awesome!!! I am so excited to use these with my kiddos and I cannot wait to see all that you will be posting this coming school year! Thank you so much for all that you do! Wishing you a wonderful school year!! !